Bosch believes we can work simpler by working smarter. Now, our dedication to constantly pushing the boundaries of technology is typified by the launch of the FLEXIDOME IP starlight 8000i fixed dome cameras, developed to streamline the video security process by taking a more intelligent, user-friendly approach. This category-changing concept in video security starts to deliver benefits from the outset by simplifying the entire process from start to finish and, as a result, saves up to 75% of the time traditionally taken to get a camera up and running. But that’s precisely the point of the FLEXIDOME IP starlight 8000i range; it is anything but traditional. These future-facing cameras offer a supreme level of convenience, which is immediately demonstrated by the remote commissioning functionality. By using a smart device, together with the Project Assistant app (compatible with Apple, Windows and Google/Android platforms), the pan, tilt, roll and zoom (PTRZ) function can set the required field of view without having to touch the camera or lens, which therefore makes the inconvenient task of repeatedly climbing ladders a thing of the past for installers. This remote commissioning and configuration can be adapted at any stage beyond the initial set-up, making it quick and convenient to adjust the field of view in the event of initial planning requirements changing, e.g. new workplace layouts or altered high-risk zones. For cameras so open to future technology, the new FLEXIDOME IP starlight 8000i range is surprisingly resistant to the elements. With a dust tight and water resistance of IP66, vandal resistance of IK10+ and an operating temperature range of -50 to +60 degrees Celsius, they’re ideal for the most demanding outdoor applications. There’s also a high quality, dual layer coating to provide protection against corrosion, just for good measure. Investing in cameras that are smart and best suited for the worst weather is clearly beneficial to business. But what’s equally important to businesses is the level of detail the cameras are capable of delivering. Higher resolutions, higher frame rates, better light sensitivity and excellent dynamic ranges all matter when it comes to capturing images that can distinguish individuals or objects for irrefutable evidence. As you’d expect from Bosch, the new FLEXIDOME IP starlight 8000i range was developed to deliver against these high standards. Challenging light conditions are more than matched by Bosch’s starlight technology, together with 1080p, 6 megapixel, or the 4K Ultra HD resolution to provide exceptional detail even in extreme low-light situations. A hidden asset featured as standard on all FLEXIDOME IP starlight 8000i cameras is the built-in industry-leading Intelligent Video Analytics. When combined with the aforementioned outstanding image resolution it helps to increase the accuracy of the security solution even further by intuitively distinguishing between genuine security events and known false triggers caused by challenging environments (snow, wind, rain, hail and water reflections) so it’s ideal for mission-critical applications and providing automatic object detection over large distances such as the perimeter protection of airports, critical infrastructures, government buildings, border patrol, ship tracking and traffic monitoring (e.g. wrong-way detection, traffic counts, monitoring roadsides for parked cars). This detailed level of analysis also brings the added benefit of users only being alerted to a situation when it’s absolutely necessary. However, there’s more to built-in Intelligent Video Analytics than keeping watch for intruders, because when the captured video data is interpreted in detail it elevates the importance of these cameras far beyond the requirements of security alone. The ability to interpret video data at the source also helps to monitor consumer patterns. Identifying ‘hot spots’ in an airport’s shopping area, for example, can subsequently be used to position high margin products to increase sales, or improve the experience of travelers by identifying possible bottlenecks in foot traffic to optimize traveler flow. Of course, this level of analysis relies on image detail. With FLEXIDOME IP starlight 8000i fast-moving objects are easily captured with frame rates of up to 60 frames per second, whilst in areas with a high variance of dark and light, objects are captured perfectly thanks to the High Dynamic Range. As for the visibility of the actual cameras, the harmonized design of the FLEXIDOME IP starlight 8000i cameras makes them ideal for environments where the highest performance must be matched by aesthetics, such as airports, monuments or governmental buildings. Regardless of the model, the design remains consistent and the paintable covers help the cameras blend seamlessly into the surroundings. 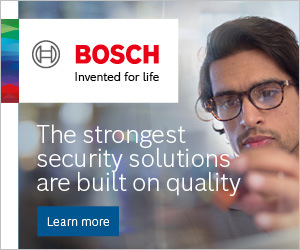 The set-up of Bosch’s video analytics is incredibly straightforward. Users are simply required to enter the height of the camera, after that the video analytics will carry out the rest of the calibration itself based on information provided by the camera’s built-in gyro sensor. All FLEXIDOME IP starlight 8000i cameras offer a unique installation concept consisting of three simple steps. First, install the mounting bracket. Second, mount the dedicated box to make the cabling connections; this is now even easier because you can use patch cables without removing its connectors due to the special grommet design. Finally, attach the camera module. This ensures fast and easy installation without the risk of dirt and dust ingress since the camera module remains sealed throughout the complete process, whilst the ‘bubble’ no longer needs to be detached because all lens positioning adjustments are motorized. Remember, this simplicity of installation is supported by the remote commissioning functionality. 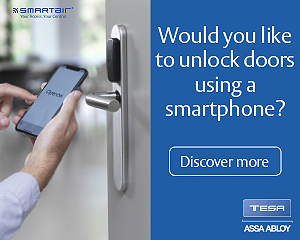 Because it’s completely wireless it provides a welcome alternative to inconvenient ladder climbs and time-consuming lift journeys. With remote commissioning it’s also possible to make adjustments to the camera’s field of view after installation should requirements change. What’s more, Bosch’s universal accessory concept provides you with an easily understood accessory portfolio that uses a consistent design and maximum flexibility to meet the requirements for almost any camera installation. Bosch FLEXIDOME IP starlight 8000i products feature Intelligent Dynamic Noise Reduction and intelligent streaming combined with H.265 video compression. This can reduce bitrate by up to 80% to keep video data manageable, whilst substantially reducing network strain and storage costs without compromising video quality. And, like all Bosch network cameras, the FLEXIDOME IP starlight 8000i range offers various sophisticated software and hardware measures, such as a built-in Trusted Platform Module, to maintain the security of vital video data. The new FLEXIDOME IP starlight 8000i range delivers the best of both worlds; a future-proof security solution with excellent image quality for customers who demand superior detail, combined with time-saving installation and commissioning. 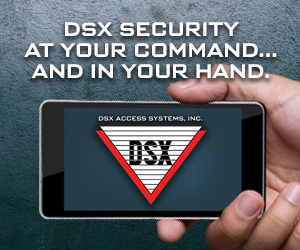 The benefits for video security, data management and data security are clear from the outset.